A very, very long time ago I bought a Moda Oh Cherry Oh charm pack on sale. It sat in my stash for a long time until I finally figured out what to use it for - a fun table runner! I originally planned for this to be done for Valentine's Day, but I didn't end up making that deadline. 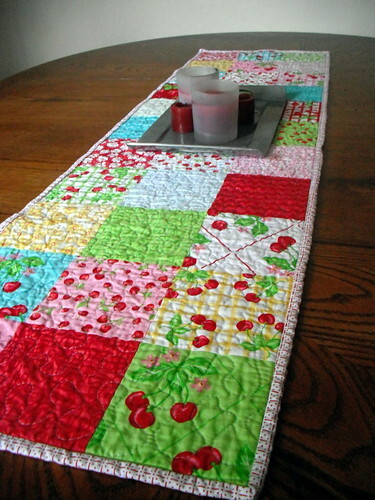 Now I'll just think of it as a spring table runner. 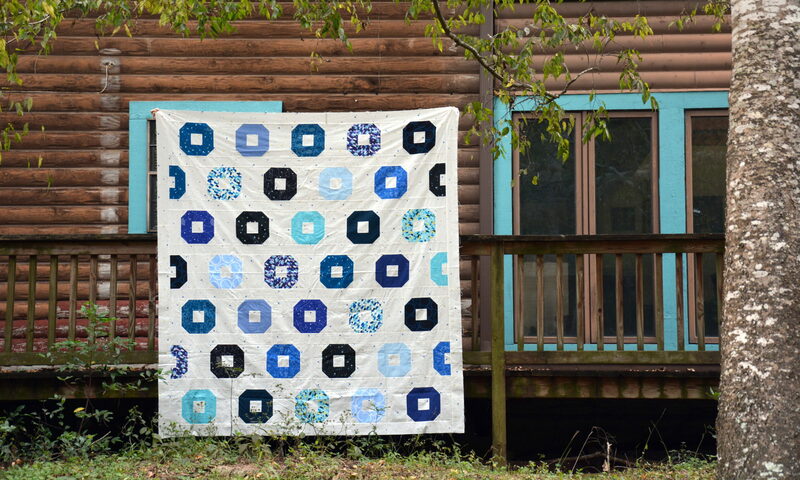 As per usual, the quilting tape that I used is on sale in the store.